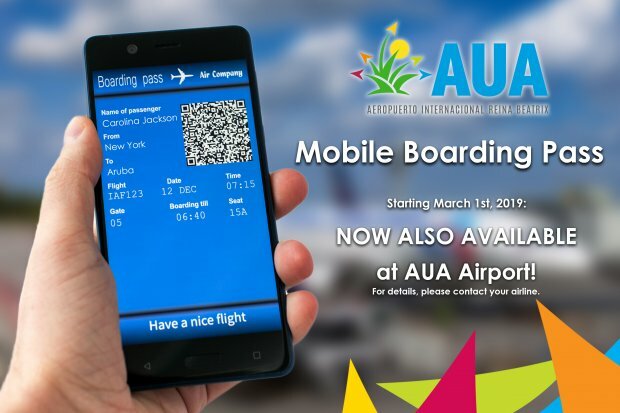 Aruba Airport is proud to announce that as of March 1st, 2019 US bound passengers can also check-in with a mobile boarding pass, same as Non-US bound passengers. Mobile boarding passes make travel easier by allowing passengers to keep all their travel information on their mobile device. Once you have the airline app, all you need to do is check in and download your boarding pass on your mobile device. For extra information passengers must contact their airline prior to check-in.